The general rule with sudoku puzzles is that as the number of starting clues in the puzzle goes down, the difficulty in solving the puzzle goes up. 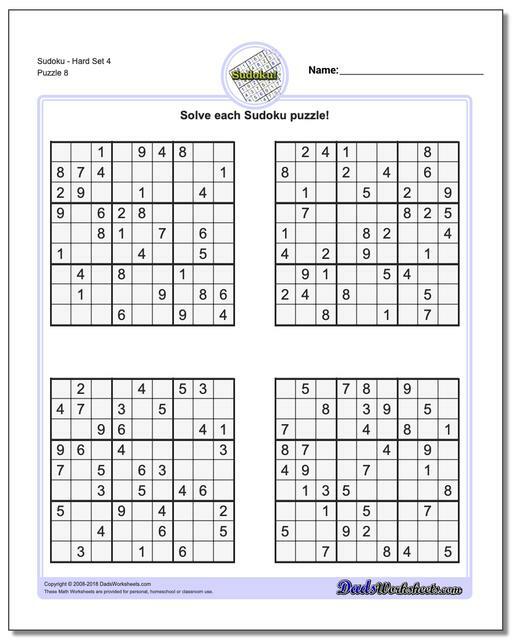 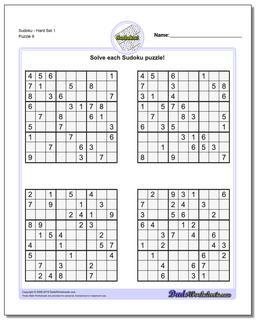 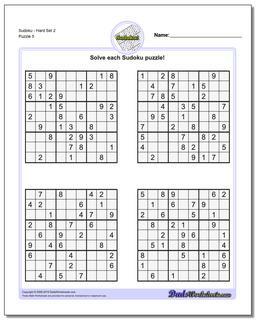 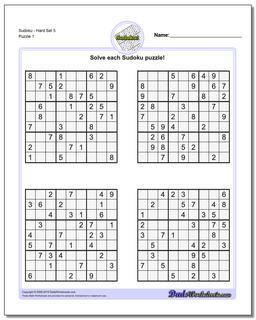 These hard sudoku puzzles have far fewer clues than the easy or medium difficulty puzzles on the preceding pages. But don't be afraid to give these hard sudoku a try! The strategies you learned on easier sudoku puzzles apply just as well here and you'll be solving these hard puzzles in no time. Each puzzle page is part of a printable PDF with an answer key to help when you need a hint or two to solve the puzzle... And you may need them with these hard puzzles!